Have you ever noticed the fleeting beauty of a butterfly as it floats by? Butterflies have a magical quality to them. They appear so ethereal and fragile, much like fairies dancing on air. These beautiful creatures do more than just look pretty and pollinate flowers. They can serve as wonderful spiritual messengers—both literally and figuratively. When you think about the butterfly and its life cycle, it contains a great deal of spiritual meaning. Starting out as an egg, it hatches into a caterpillar. Then it enters the next stage where it becomes a cocoon or pupa. Finally the magnificent butterfly emerges in all its winged glory. 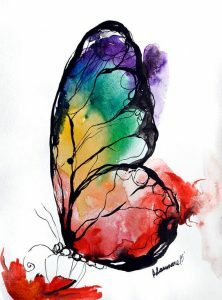 In many ways, the butterfly serves as a metaphor for the soul’s spiritual journey. 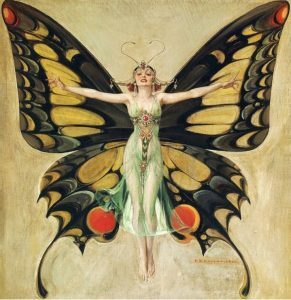 Its metamorphosis represents our own spiritual transformation. We start out as a simple being and learn to function in the world, much like the caterpillar. We crawl along through life in our day-to-day activities, but search for deeper meaning. 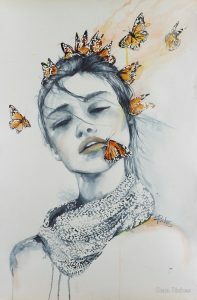 Eventually we go on that inner journey to get in touch with our inner selves, much like wrapping ourselves in a cocoon. We meditate, pray, read and study spiritual truths. We turn our focus inwards. At some point, we are ready to emerge and share our true essence with the world. Much like the butterfly, we spread our wings and fly. Butterflies have relatively short life spans, most live for only a week or two. Some species like the Monarch can live up to six months. Even so, that is not much time in the scheme of things. This too serves as a reminder for us. Although we live much longer than the butterfly, life is fleeting and time moves quickly. Sometimes we don’t realize it and all of a sudden, the years just slipped away. Butterflies teach us to enjoy the present moment and make the most of our existence here on earth. They also remind us that death is just another transformation—we will just spread our wings and fly in another dimension. Power animals are highly revered in many shamanic cultures, especially among Native Americans. Each power animal has specific qualities and strengths that can teach us. Butterflies represent joy, freedom, creativity and change. Their transformative powers also symbolize shape shifting and soul evolution. When you see a butterfly in your dreams or in reality, it can be considered a power animal message. Stop for a moment and take a look at what’s going on in your life. Is it time to make some changes? Or maybe you’re already undergoing a life transformation. If so, this power animal will give you the strength to move on. This creature also reminds you to enjoy freedom and creativity and not to take life too seriously. Likewise, groups butterflies indicate the same messages, only more urgent and prominent. 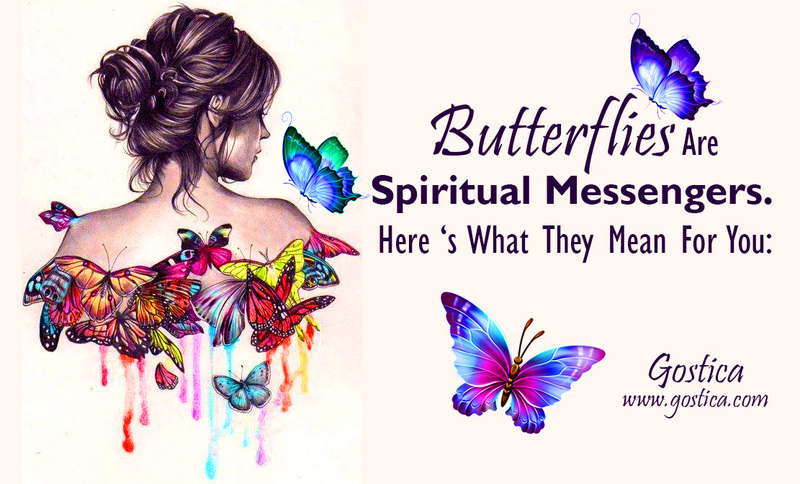 In addition to power animal messages, butterflies convey other spiritual tidings. Angels often communicate with us through butterflies. When a butterfly appears in your midst, it could be your guardian angel or spirit guide sending you a signal. It is difficult to ignore a butterfly’s presence, so consider it an important communiqué. Departed loved ones can also speak to us through butterflies. Many people report seeing butterflies shortly after a loved one’s death. Either way, butterflies do serve as important spiritual messengers. It is often up to the interpreter to decide the true meaning. So the next time a butterfly crosses you path, take heed from this spiritual messenger. You are obviously meant to receive a message of great importance!